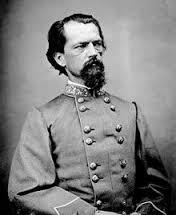 Note to readers: This is another of my articles on the battle of Gettysburg. 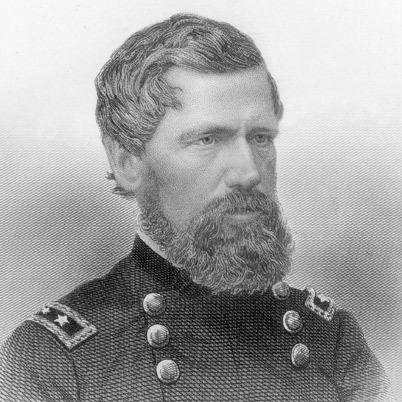 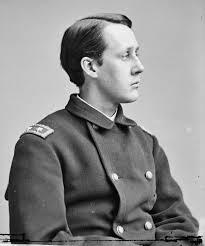 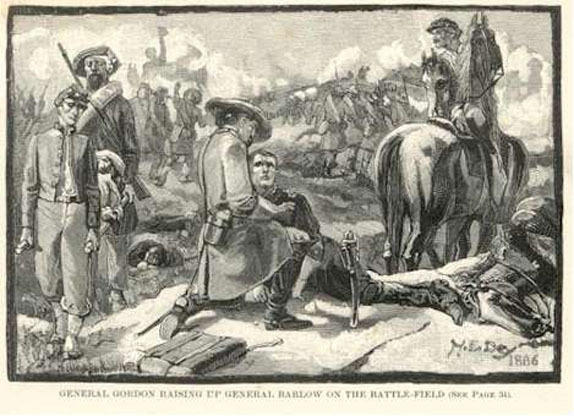 There are still debates as to why Barlow advanced but one of the most likely explanations is that he saw the unprotected left of Brigadier General George Doles’s brigade of Georgians from Rodes divsion and wanted to strike them in the flank. 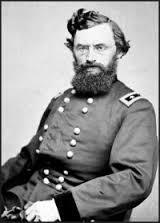 However this left his own flank exposed to the attack of Brigadier General John Gordon’s brigade of Early’s division. 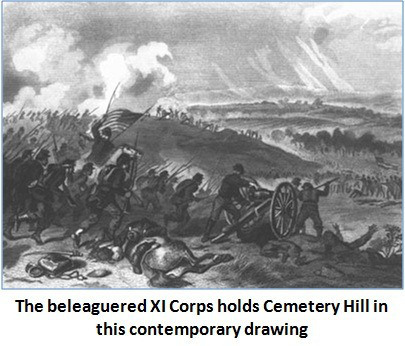 Their right now uncovered by the retreat of the XI Corps the battered I Corps survivors fell back through the town onto Cemetery Ridge. 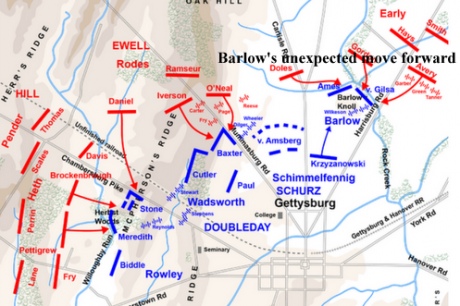 There they and the remnants Barlow and Schimmelpfennig’s divisions were rallied by Howard and the recently arrived Major General Winfield Scott Hancock around Colonel Orland Smith’s fresh and dug in brigade and a substantial amount of artillery.